Why be content with a traditional sliced loaf or a baguette when the world has so much more to offer? So while bread making machines are all the rage let's go on a world tour to discover what the rest of the world has to offer. Bread: just water and flour? If this was the case then our bakers would be very unhappy! Hundreds of varieties of bread exist, with different textures, tastes, shapes and sizes. Their particularities come from the choice of ingredients (semolina or flour, refined, wholegrain, wheat, rye or cornflour, seeds, water, oil or milk) and the craftsmanship (hence why the best baguettes in the world are made in France despite the export of production techniques). While bread made with wheat flour is the most popular in the UK, Northern European countries prefer rye. In Germany you find pumpernickel, black rye bread with treacle. The French buy freshly-baked baguettes which have to be eaten within 24 hours. In Sweden, wholegrain bread is particularly popular (barley, rye and malt), notably the famous flat, soft and slightly sweet Swedish sandwich bread, made from rye and wheat without yeast. As you travel south through Europe, you find less rye and more soft, succulent, flavoured bread made with the olive oil that is so popular in many Mediterranean countries. In Italy, thick foccacia made with salt and olive oil is served with every dish and flavoured with herbs, olives etc. A little further east of the Mediterranean, you find round, hollow pita bread to stuff with whatever you like. In North Africa, semolina is used to make bread and olive oil is also sometimes added to make bread that is often flat or slightly raised. Examples are matlou (a round raised bread), tamtunt (sourdough bread from the region of Kabyle) and M’semmen (Moroccan bread). The recipes for North African bread differ from one country to the next (a fantastic excuse to try them all). Sub-Saharan Africans are fans of European bread but have been strongly affected by the high prices of ingredients, so they make bread themselves using local produce such as manioc (cassava root), corn, plantain and sweet potato. Contrary to popular belief, Asians eat bread every day in addition to rice and noodles. Asian sandwich loaves are softer than UK bread and are the most popular, notably in Japan where they are used for sandwiches and toast. In India and neighbouring countries we find the well known naan, a flat bread made of wheat without yeast. It can be flavoured with herbs, onions and even cheese. Another speciality is the chapatti, a thick pancake-like bread served with many dishes. Central Americans eat mainly tortillas (flat corn bread) and have done for hundreds of years. They can be eaten alone, as an accompaniment or integrated into dishes such as tacos. Also popular is pan dulce, which is half bread, half brioche (and very sweet). In South America, colonial heritage and Indian tradition merge together and the bakeries are a reflection of this: you find European-type bread in big cities, but country people prefer more rustic bread. In Chile, the traditional bread is Milcao, made from potatoes. Bolivian markets are full of all kinds of bread: marraqueta, sarnitas, empanadas, bollos, sopaipillas, colizas and canapés among them. 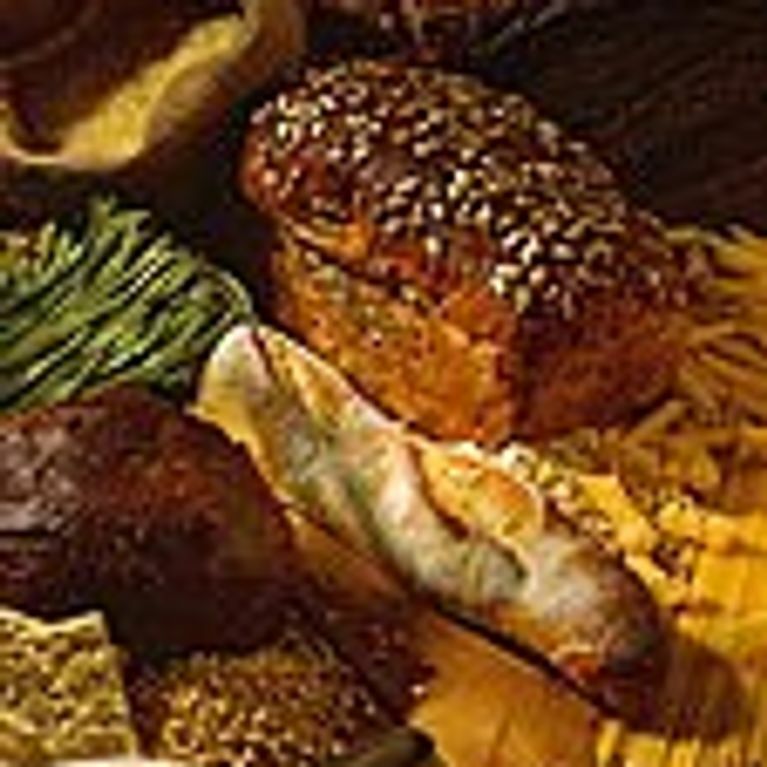 European bread made from wheat and water is popular in the US and Canada as well as Jewish and Italian bread. But what the Americans like best is the sandwich loaf, made with milk and/or butter and used in sandwiches.